Today's wish list item is something that many readers have been admiring for weeks. Kate Middleton’s Reiss Shola dress sold out immediately after she wore it at her first formal event as the new princess. Personally, as soon as I saw the dress, I fell in love with it. You probably did, too. 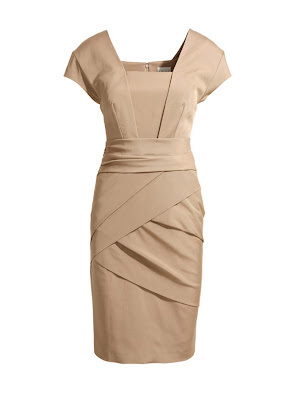 The dress's neutral color and elegant design makes it a perfect choice for so many different events. Due to the popularity of the dress, it will be re-stocked this summer. Here’s the scoop for you on when and where to buy this gorgeous dress. Due to the extraordinary customer demand we are delighted to announce that the Reiss Shola dress, as worn by the Duchess of Cambridge, will be re-ordered and available to buy from Reiss once again! We expect the dress to arrive within five to six weeks and it will be sold on a first come, first served basis as we cannot guarantee any pre-orders. We have created a page where you can register your name to be informed when the dress is back in stock. If you live across the pond, you can actually rent the dress from Label Lease a high end, designer rental company similar to Rent the Runway. Rent the Runway is the same company that rents dresses from some of my favorite brands like Lilly Pulitzer, Tibi, and Milly. Keep your eyes on Rent the Runway; I'm predicting that they might offer this dress in the future. Sign up for updates on the Shola dress at Reiss and keep your fingers crossed. What is your favorite dress that Kate Middleton has worn? That is a gorgeous dress--what a lovely silhouette!